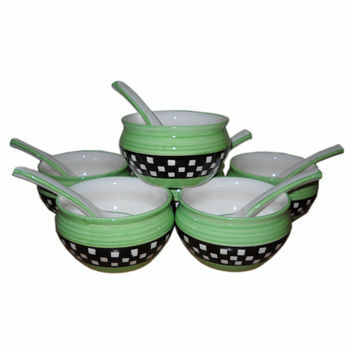 This multi colour 6 Soup bowl sets looks speak itself about it. 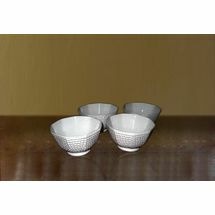 You and your guests are surely going to like this when you will server soups in these bowls. 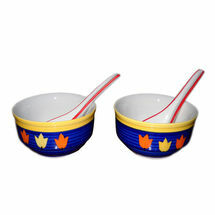 This set comes with matching Soup spoons as well. 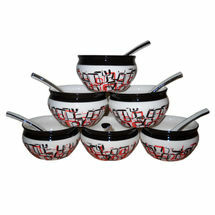 White colour check design with black colour base is adding to its beauty. 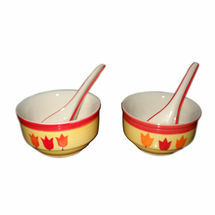 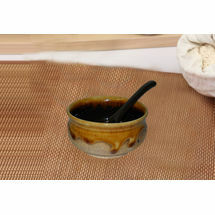 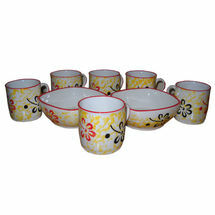 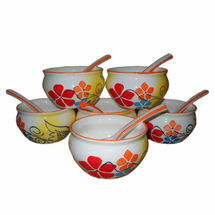 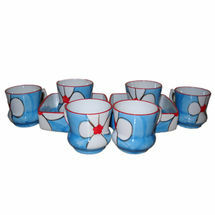 Ceramic multi colour Soup bowls set can be used for self or gift to near and dear one.